Leadership is defined by what you do, not what you say. Ruth Bader Ginsberg is a prime example. She has dedicated her life by doing what she believes in, starting with pursuing women’s rights legal issues in the 1970s and then making her way to the Supreme Court Bench in her 60s. She continues to push on the Supreme Court for equal rights today. 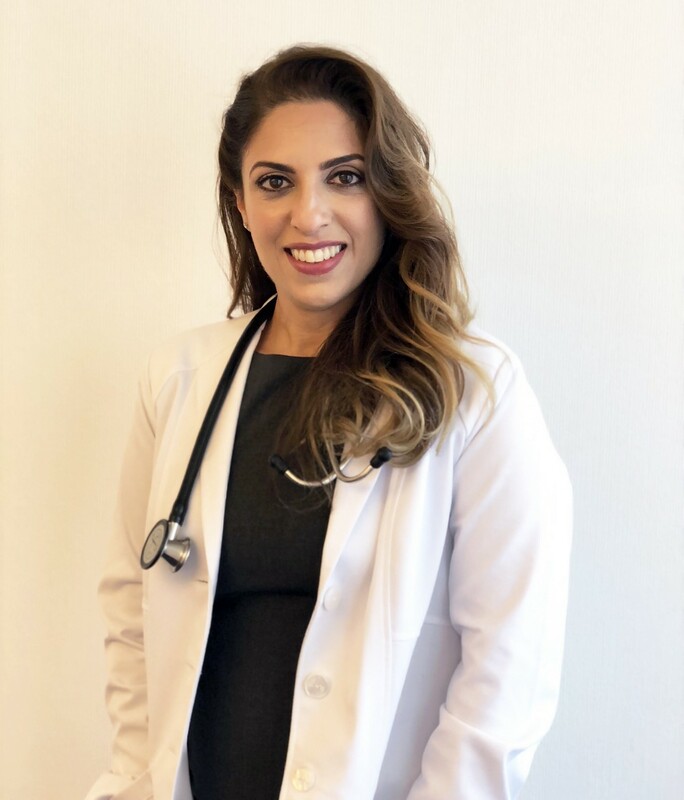 I had the pleasure of interviewing Dr. Sherry Yafai, an Emergency Medicine Physician who has transitioned into Cannabis Medicine since legalization in California. Dr. Yafai works with patients at High Sobriety, a sober living facility that allows for Cannabis use as a type of medication assisted treatment program. Furthermore, Dr. Yafai sits on the Board of the Society of Cannabis Clinicians, where clinicians from both the United States and abroad discuss new research and data regarding the use of cannabis based medications. Thank you for inviting me today. I have been working in the Emergency Department in Santa Monica for nearly a decade when two close family members were diagnosed with Cancer. Both were told by their oncologists to use Cannabis for help with their treatments, neither was given more details on what and how to use. The younger relative was more willing to go through trial and error to figure it out. The older relative (68 years old) was given a piece of a cookie from a friend and had a “misadventure” which led him to feel even worse and lay in bed for 2 days. I was very upset that there was no one more knowledgeable about the use of cannabis for patients in the medical arena. At the same time, cannabis was passing a ballot measure in California to be legalized recreationally. That was when I decided to get more well educated on Cannabis. Since 2016, I have opened my own Cannabis based medical practice, the Releaf Institute in Santa Monica. I have also started working with High Sobriety, Society of Cannabis Clinicians and the John Wayne Cancer Institute. I can’t count the number of times I have had to resuscitate patients due to narcotic overdoses, in the ER and the hospital. And yet in that position, when someone is having an acute overdose, they are not in the position to have any long term meaningful discussion about treatment or addiction. So for every life saved, it felt like it was only a matter of time before they would would come back dead due to their addiction. It wasn’t until my work with HIgh Sobriety that I was able to make meaningful changes in patient lives who suffered from Heroin and narcotic abuse. Depending on who you ask, fingers will be pointed in different directions. I believe that this epidemic has come from 1. The pharmaceutical companies 2. The insurance companies 3. Yelp. Let me explain further…. Pharmaceutical companies that created the narcotics made claims that these medications were non-addictive and pushed these products on clinicians. Then Insurance companies would financially incentivize clinicians to treat Pain as a 5th vital sign, thereby pushing pain medications. This was then compounded by the capacity of patients being able to write “Yelp” reviews on their clinicians. Since businesses are dependent of these reviews, many clinicians were pushed into writing for more narcotics than otherwise deemed necessary. This is often the case with antibiotics as well. Now while this all seems to have pushed clinicians into prescribing more narcotic medications, that still does not account for the discrepancy in the country’s excessive opiate problem in Ohio and certain other states where there is an overwhelming amount of daily deaths. In this specific location, the question becomes how and where are these drugs becoming so widely available. They must come from somewhere. In this specific situation, we must hold the drug companies accountable. After a review of all of my patients in 2018 at High Sobriety, the sober living facility for patients who are using non-smokable cannabis as a medication assisted adjunct for rehab presented in a poster at Cannmed 2018, 81% of patients were able to maintain their sobriety (off opiates and alcohol) for greater than 3 months. I firmly believe that this is the beginning of a new treatment era with cannabis. And the important part is going to be doing this with a cannabis physician. Yes Ray is a 31 year old male at High Sobriety who was addicted to Heroin for years and was unable to quit on his own, nor with other rehab groups. He ultimately came to me in the summer of 2018 and I was able to get him to go from sleeping 2 hours at night to 6–7 hours at night. At the end of our treatment regimen he also stopped using energy drinks and was able to decrease his blood pressure medications. The work that makes me the most proud is the work I do with my older patients. I have a 70 year old patient in South Carolina, who came out to Santa Monica for 3 months, to get off of oxycodone and percocet, which he had been taking for more than a decade for chronic low back pain. He was able to come off of more than 12 pills a day for the first time in more than a decade! With the removal of narcotics, using cannabis oils and edibles only he was able to regain part of his life again and not be anchored to the monthly doctor visits, pharmacy glares and refills and feel better. He has since returned to South Carolina without any cannabis products (it is illegal there) and continues to live better than he has in a decade. Understand that with any procedure there will be pain associated with it and try to formulate a plan for pain management prior to it. Think about this like a “Labor Plan” which women create prior to giving birth. Ie for the first week after the operation I will take pain killers, week 2 I will take acetaminophen and use stronger pain killers for breakthrough pain. Long term treatment programs for addiction, that are not religiously based. The positive outcomes. Seeing people engaging in the mental health work now that they are no longer clouded by the drug abuse. Seeing the long term happiness instead of having them return to the ER wasting away. Opiates are not the only option for pain management. Gabapentin is a very hard medication to get off of. Ambien and Lunesta can cause early onset dementia. Cannabis is less addictive than alcohol, nicotine, or prescription pain killers. Acetaminophen and nsaids(motrin, advil, ibuprofen etc) have been shown to work as well as narcotics for pain control. Cannabis as a medication, that remains in the hands of the public, not the pharmaceutical companies. With the medical board as an overseeing body, which would require physicians to get educated about cannabis! Just do it. Putting a thought or belief in practice is much harder than it looks. In order to implement an idea sometimes just takes the actual work which can take a lot more time than you think. So having an idea is 10% and putting it into action is the 90%. So many! Perhaps the Next President of the United States, to provide a real, medical perspective on how cannabis may help curb the opiate epidemic that we are in currently and leave a lasting change for generations to come.